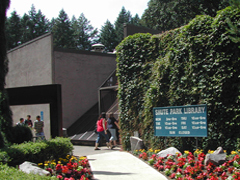 Do you use the Shute Park Library in Hillsboro to pick up your holds? This information is for you! The Shute Park Library will be closing for renovations after May 11th. Here's what you need to know about the holds you pick up at Shute Park. You cannot place new holds and set the pick-up location to Shute Park. Please choose a different WCCLS library to pick up your hold at. The closest library to Shute Park is the Hillsboro Main Library, on Brookwood. If you have existing holds that will arrive at the Shute Park Library before May 11th, you can still pick them up at Shute Park. 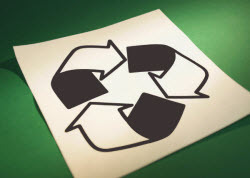 Holds that will not arrive at the Shute Park Library before May 11th must be adjusted to have a different pick up library. This can't be done online in your WCCLS account - please phone staff at a WCCLS library to do this for you. When the Shute Park Library closes for renovation at the end of the day on May 11th, you will not be able to pick up your holds or return materials there. The Shute Park Library will be closed for renovation until 2014. Thank you for your patience! If you have questions about the Shute Park closure, please contact the Hillsboro Library at 503-615-6500. For assistance with your account, please contact staff at your local library. If you search the full version of the WCCLS catalog today, you'll notice that the search results are displayed by relevance order, not alphabetically by title. This will make the full (desktop) catalog match our mobile catalog, which already displays your search results sorted by relevance. 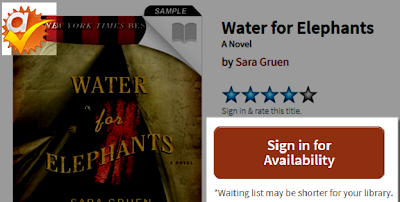 This change will make it easier to find what you're looking for in the WCCLS catalog. If you have any questions about the change, or need more information on searching the WCCLS catalog, please contact your local library. On Sunday, April 21st, all WCCLS-hosted online services will be unavailable from approximately 6:00 pm to 7:30 pm. Library2Go will still be available during this downtime. We apologize for the inconvenience and thank you for your patience! 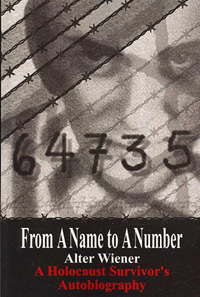 Event at the Cedar Mill Library: "From a Name to a Number – a Holocaust Survivor's Autobiography"
Alter Wiener's father was brutally murdered on September 11, 1939 by the German invaders of Poland. Alter was then a boy of 13. At the age of 15, he was deported to Blechhammer, a Forced Labor Camp for Jews, located in Germany. He survived five camps. Upon liberation by the Russian Army on May 9, 1945, Alter weighed 80 lbs., as reflected in the photo on the cover of his autobiography, 64735: From a Name to a Number. Alter will be sharing his life story at the Cedar Mill Library on Saturday, April 20th at 2:00 pm. The program is free and open to everyone. Alter is one of the very few Holocaust survivors still living in Portland. 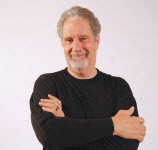 He moved to Oregon in 2000, and since then he has shared his life story with more than 800 audiences in universities, colleges, middle and high schools, churches, synagogues, prisons, and other organizations. The Oregon Book Award winners for 2013 were announced last night. Here's a rundown of the winners in some popular categories. Find a full list of the winners here. 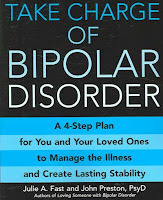 Also available as a downloadable e-book and audiobook in Library2Go! 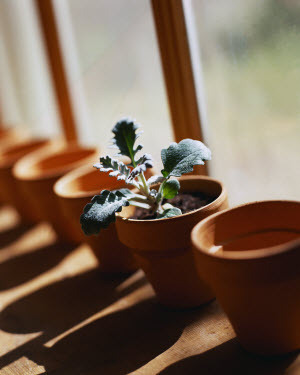 April is an arts-filled month at North Plains! On Saturday, April 13th at 1:00 pm, the Portland Ballet will be offering a free mini-performance and sample ballet lessons for kids in Kindergarten through 6th Grade. This will be taking place at the Jessie Mays Community Hall. The Portland Ballet, a training ground for professional ballet artists, provides performance experience for pre-professional dancers and emerging choreographers and promotes ballet appreciation in the community through outreach and education. In addition, landscape and portrait photographer Tom Jacquemin of Hillsboro will be exhibiting his work at the library from April 11 through May 31. A reception will be held in his honor on Friday, April 19 at 6 p.m. at the library, and the public is invited to attend this free event. All of Jacquemin’s photographs will be available for purchase and can be made in additional sizes. He also sells his photographs at the Cedar Mill Farmers’ Market most Saturdays. Discover Italy’s charming Amalfi coast through the eyes of tour guide and travel writer Chantal Kelly on Thursday, April 11th, at 7:30 p.m. at the North Plains Public Library. 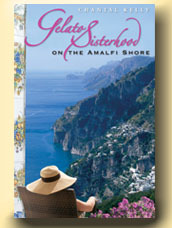 Part travelogue and part history, Kelly’s book, Gelato Sisterhood on the Amalfi Shore, will fascinate anyone who’s ever wanted to indulge in travel to Italy. The book also offers a number of mouth-watering recipes. Born and raised in Brussels, Belgium, Kelly developed an early love of travel as she vacationed with her family thoughout Europe. She gained fluency in five languages, worked for an Italian travel agency, and ultimately formed her own boutique agency, guiding small groups throughout France, Italy, and other European destinations. The author will have her book for sale and for signing after her presentation. This event is sponsored by The Friends of the North Plains Public Library. The Oregon Book Awards ceremony is next week! The finalists for the awards have been announced, and you can vote for your favorite online in the 2013 Readers' Choice Award. Why not choose your next book from the list of finalists? See all the finalists here, or click the links below to place a hold on books from popular categories in the WCCLS catalog. We look forward to sharing the winners with you next week!